Stealth is a more a lifestyle than a word but we have used on other pages of this same web site and some may still wonder what to do about stealth radio stations and how to do it. Set them up, that is. 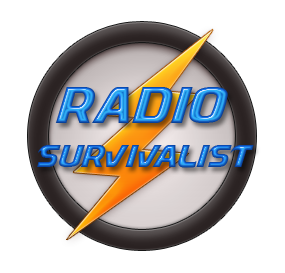 This article from a well-known amateur radio operator who has actively pursued the radio waves while keeping his presence unknown has been adapted to our site in such as way as to keep search engines from labeling it as duplicate content. This person, whose name and call sign will remain anonymous, lives in a neighborhood governed by the usual plethora of antenna restrictions, homeowner covenants, and of course the HOA Nazis who deem it their mission in life to see how miserable they can make life for others in the neighborhood. I have been quite successful and quite active in amateur radio despite the HOA obstacles. I participate in a great many of radio contests, and I enjoy plenty of DX1, using both QRO2 and QRP3 powered operations. In the next few paragraphs I will try to explain some issues that I have dealt with concerning stealth radio operations. A good many of the amateur radio operators I have came across have mistakenly made the assumption that the only way an amateur radio operator can ever work any DX1, participate in any contests, or earn WAS or DXCC4 is with huge beam antennas, full-gallon5 linear amplifiers, and tall towers. Now,there’s no doubt in my own mind that those items will give them the needed edge in communications and please understand that I do not suggest that any of my antennas are more efficient, stronger, or better in any way than another operator who uses a good beam antenna on a tall tower. And yet, even though I have neither of the latter two items I have managed to become a successful contester, QRP3 aficionado, DX1 hound, ragchewer, and any other type of operator. And I did this all through the use of well-designed, simple wire antennas and a vertical antenna. And added plus for me is that I get a particular amount of joy when I beat out the so-called “big gun” stations in a DX1 pile-up. WHY RUN A STEALTH STATION? A great deal of the time it is your only way to enjoy your amateur radio hobby. Then some operators run stealthy radio setups just because it helps to keep the peace. It has always struck me as funny how your neighbours (all of them) are very peaceful, laid back, and even supportive of your hobby up until you put up your dream tower with a beam antenna on top of it and low-band dipoles hanging off the sides of it. As Gomer Pyle used to say, “Shazaam!” You are now able to work some really great DX1 and don’t forget that you also get the additional side benefit of your antenna system’s magnetic properties. Why is it magnetic? Your high-performance beam, tower, and all the associated dipoles hanging down form it is bound to draw complaints from everyone within your immediate neighbourhood extending out to miles beyond where your antenna is at. The next thing you know you will find yourself accused of everything from TVI6 to sterility of the neighborhood pets, even though you and the family have been on vacation on another continent for the last month with the power to the house shut off. So the answer to the question of why run in stealth mode is this: IF THEY CAN’T SEE YOUR ANTENNA THEN THEY CAN’T COMPLAIN ABOUT IT. Don’t get depressed if the first stealth antenna you try out doesn’t work out for your because you’ll need to experiment with several types of stealth antennas to find one that works best for your particular location but believe me, it works! -Is there attic in your house, condo, apartment (unlikely in some trailers used in senior retirement communities)? As long as you have access to the attic you will soon discover that you will be able to hang many different types of antennas in it. I myself have been able to find enough space for loop antennas as well as dipoles in several ham radio operator’s homes who I have helped get on the air in stealth mode. -Were you blessed with one or more trees when you bought the new house? Both front and back yard trees allow you many opportunities to erect resonant dipoles and even multi-band vertical antennas. Common sense will tell us that the more trees you have on your property the easier it will be to hide more and bigger antennas hanging from them. -Be sure to read all deed restrictions, or HOA covenants closely, hire a real estate attorney to be sure nothing is hidden from your untrained eye. There are very few communities that restrict flags that are securely attached to flag-poles or even bird houses for that matter. 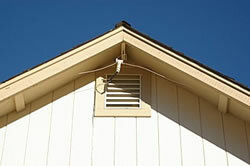 You can easily hide a multi-band vertical antenna inside either a flag pole or a bird house support pole. Keep in mind when explaining that bird house up on a 30 foot pole is because birdhouses purple martins really should be mounted up as high as is practical to attract the birds. As long as you get to mount either of these poles you will then be able mount guy wires to keep your flag pole or bird house up. Instead of guy wires you can use the ‘guy wires’ as stealth inverted-vee dipoles and single or multi-band sloper antennas! -The underside of the roof of your house is called the eaves and you can easily hide a loop antenna underneath these eaves. 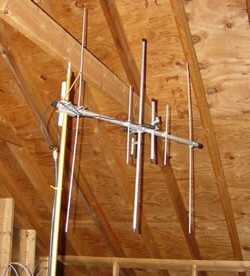 Attaching the antenna to the house can be accomplished small insulated standoffs all the way around your house. You will then run the feed line into the house through a soffit vent and into your operating area. Should you find yourself living in a duplex or other multi-family home without any way to get a loop up then there are other alternatives? All you need to do is hide resonant dipoles up under the eaves on whatever sides of the home that you have available for your use. If you are able to put up two dipoles mounted at 90 degrees angles to each other then you’ll soon discover that you be able to work almost all of the USA with relative ease. -Maybe you don’t have trees but you do you have a good size backyard with a wood fence around it. This type of fence can easily hide a very low mounted loop, dipole, or doublet antenna without ever being seen by the neighbours. Even though these particular antennas exhibit a near vertical take off angle they should work just fine for normal contacts within several hundred miles or more from the operator’s QTH, possibly even some close by DX. Every house, home, trailer, condo, or apartment has its own particular OPPORTUNITIES available to you. You just have to be on the look-out for them, and then once you find them you must ACT. Through the years I have been able to see antennas laid on the grass of the back or front yards, metal (chain-link) fences can be loaded with an antenna tuner, small gauge wire that surrounds the shape of the house and then painted the same color as the house to make it nearly invisible to prying eye. All of these are different approaches to a common communications problem but had similar results in that the ham living at that particular location was actually ON THE AIR, and making radio contacts! Paraphrased for use with search engines while maintaining author’s intent and copyrighted information. 1 DX: Literally “Distance”. A code from the earliest days of radio meaning a far away signal. 2 QRO: High power, in some circles anything over 100 watts is considered to be high power. 3 QRP: Low power, generally QRP is 5 watts and less. Some operators use milliwatt transmitters while attempting to work long distances with the least amount of power. 5 full-gallon: A legal-limit amplifier of 2000 watts. Note that amplifiers are sometimes referred to as kickers, amps, heaters, helpers, linears. 6 TVI: Television interference. Generally caused my mis-tuned radios, antennas mounted too low, excessive power, poor quality video and audio equipment.